Come and join The Henley Bridge School at this special event. England Women Bridge World Champions! Congratulations to the English Women’s Team, who won the gold medal in the World Bridge Games in Lille, France beating Russia in the final (Poland came third)! The open series was won by Sweden with Poland second and Monaco third (Monaco is a sponsored team which includes top pairs from Norway and Italy). The England Women and Senior teams have qualified for the last 16 of the Word Mind Sports Games being held in Lille, France. Sadly the Open team has been knocked out. Take a look at what’s happening with the World Bridge Federation or English Bridge Union. In addition to Bridge, the World Mind Sports Games includes Chess, Draughts, and Go. It is held every four years in the year of the Olympics. Designed particularly for those just starting Bridge and in their first year or two of learning to play. Sessions at 4pm on Monday at the Red Lion and 7pm on Tuesday at Henley Cricket Club. 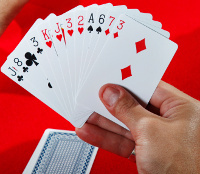 An opportunity to learn Duplicate Bridge – exciting and fun to play! Still our same learning environment in which to ask questions and discuss what might have happened. All welcome, including those completely new to Duplicate Bridge. Sessions at 10am on Tuesday and 7pm on Thursday both at Henley Cricket Club. 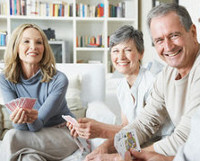 Our new Gentle Duplicate session for those who would just like to play Bridge. A welcoming and encouraging atmosphere with help on how to score and move. No partner required – come along and we’ll arrange the numbers. Sessions 10am to 12:30pm on Wednesday at Nettlebed Village Club. For details of our lessons, please take a look at our current programme and information on our courses. There is no Bridge on bank holiday Monday or Tuesday next week (04 and 05 June). We then continue with Supervised Play at the usual times until Thursday 21 June. Enjoy the celebrations this weekend! Having moved from the White Hart to the Red Lion in Henley, we are no longer able to offer supervised play on Wednesday morning. Instead, the same session will be running at 10am on Tuesday morning. 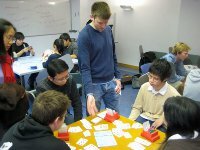 It’s the usual relaxed, enjoyable Bridge with the emphasis on learning and improving. 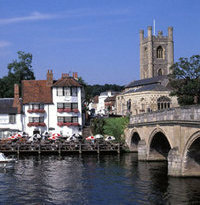 The Red Lion has parking at the back and The Riverside Room has a beautiful view of the Thames. I hope as many of you as possible will be able to join us! Please note that there is no Supervised Play on Tuesday 07 February at 7pm at the White Hart in Nettlebed. Sessions resume as usual the following week (14 February). Join us then for some Bridge romance! The English women came 4th in the Venice Cup. From Tuesday 01 November we’re running a Supervised Play session designed specifically for those who have just started playing Bridge. This complements our Bridge lessons and would be ideal for anyone who has completed our first course, Beginning Bridge (Red). 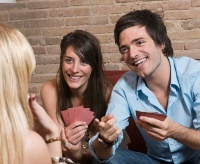 It’s an opportunity to enjoy playing Bridge in a relaxed and welcoming environment and to learn and improve by asking questions as you play. No need to book in advance or come with a partner – just turn up! 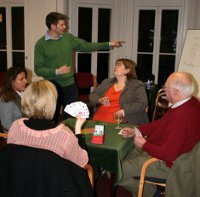 The session runs from 7pm to 9pm and is held at the White Hart Hotel in Nettlebed. The price is £9 (although the first session is included at no charge with a course of lessons with us). Please get in touch with any questions or for further information.